You broke into a restricted area. Now your mission is to activate as many buttons as possible, before being detected by the guards. Points are being collected by pressing the highlighted Button. A little arrow shows the direction. Tell us your Score! If you think the game is too hard or not hard enough on it’s default settings, just change them! We are proud to present Proto! It's our first ever game, submitted for our first ever Game jam too! Sadly, the only thing we did not manage to implement was sound, but we are pretty happy with the final result. It's a platform game with a very basic plot attached. Please, if at first you do not succeed, retry and retry! Some bits were pretty hard for me as well, and I built the map! To put it bluntly, it should be a quick, fun experience. KNOWN BUGS: Sometimes the platform in the first level (before you see the Core). Meaning you have to restart the game if you die in the first level. Once you get on the second level (when you see the Core from a distance) You will not need to restart the game anymore! Sorry for the inconvenience, have fun and... keep retrying if you fail! The end is worth it. Last edited by Dedpul_; 01-18-2016, 03:03 AM. 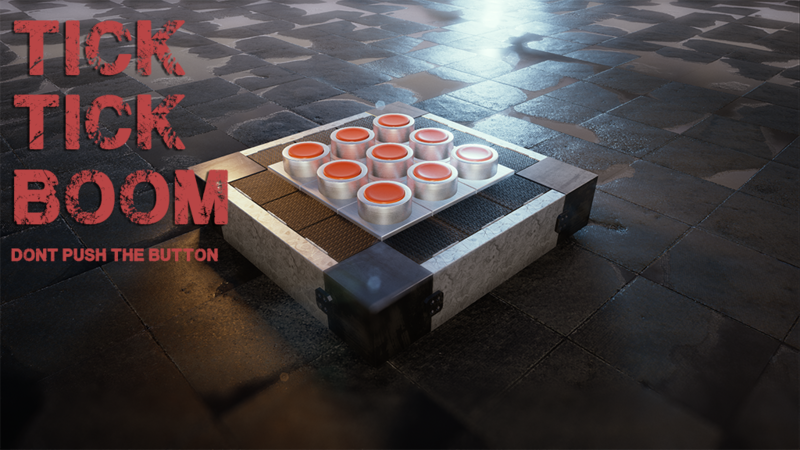 Name of your submission: JK5000_Push the right button or die. Are you ready to risk your life for the opportunity to win $ 1 million? This is a quiz-show game. The rules are simple, win or die. LMB: to click on the buttons. Move mouse: to look around. WARNING do not let children play this game. Last edited by JK5000Games; 01-28-2016, 06:24 AM. The act of push a button... might lead to different reactions... it can bring good things... it can bring bad things... is it even worth to try? Help an egg collector to find a special golden egg, get over challenges and take some decisions, to push the button or not... that is your choice! Music: Goodgame Big Farm Music, we did not create the music. Last edited by iorek01; 01-17-2016, 08:18 PM. Controls: WASD move around, left click to push buttons, right click camera. Last edited by Malkey; 01-17-2016, 06:51 PM. Description: Find your balance between Peace and War. Gather dark tokens to push the big red button and go to war. However beware once you trigger the next World War, it won't be just tokens to collect and dodge. Gather pulsing tokens to return or maintain a peaceful status. How many Wars can you survive? This is our first Game Jam as a group! Thanks Epic Games for giving us this chance to create an fun little game for you guys and other Gamers to check out! Last edited by Dave010994; 01-17-2016, 08:22 PM. So here's my first ever game jam entry. It turned out better than I thought it would so hope yall enjoy. High fives to all the other entries! How to play: A blue button is highlighted at the start of the round. This button disarms the bomb terminal, there are 10 terminals. The blue fades back to red as the buttons are shuffled. When the button shuffle ends click the button formally known as blue to disarm the bomb. Click any other button and BOOM! And just incase it's not clear, when a button travels off the board it imeadiately re-emerges at the opposite side. Last edited by Hum; 01-28-2016, 06:05 PM. name of the game:button battle. Last edited by owninator; 01-17-2016, 08:21 PM. 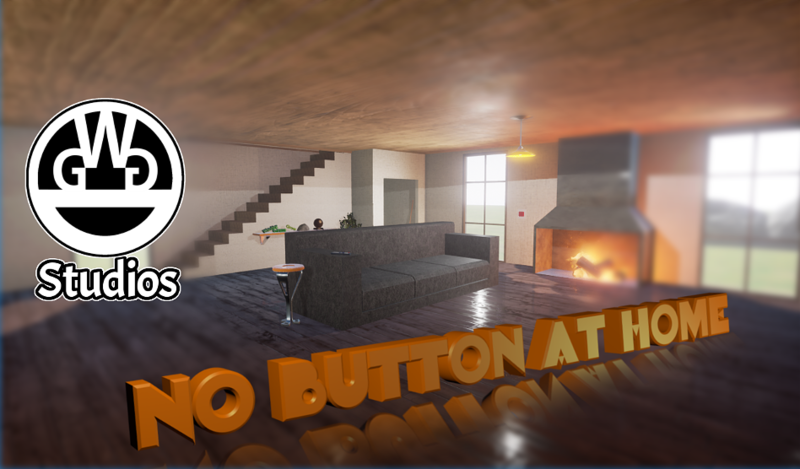 This is our first "finished" game on unreal, I hope you enjoy it. You have to touch certain button colors but avoid touching others. Buttons spawn on a non touchable zone, when they move thought a shower zone they get white and you have to remember what color they had to touch them. Have you ever played games in which you need to catch a button running on your screen? Now it's your chance to be that button! You will have to evade attacking cursors and complete objectives. Enjoy! The game is about you, yes, right! YOU! You're at home and well, you want to go sleep. But you can't do so for your girlfriend would keep you awake nagging away for another 6 hours if she returned without you having done the stuff she wants you to have done. Phew, women are the devil right? Just do what she wants you to do and you'll get a good-nights rest. 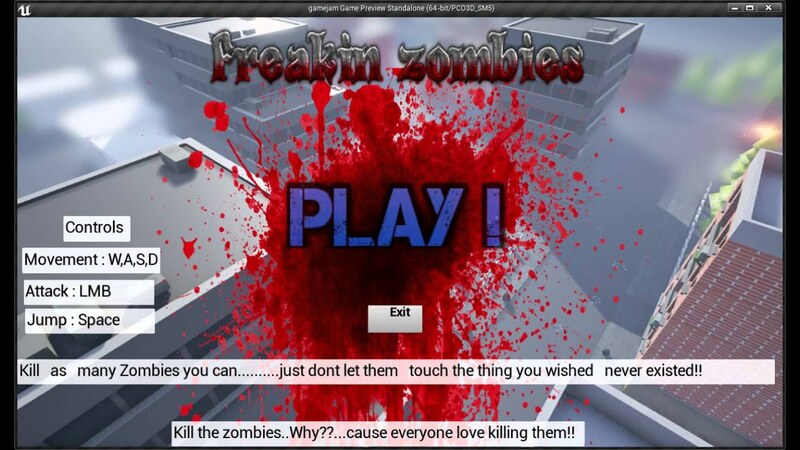 Hint towards the game: Use your environment, don't push buttons, E to interact. 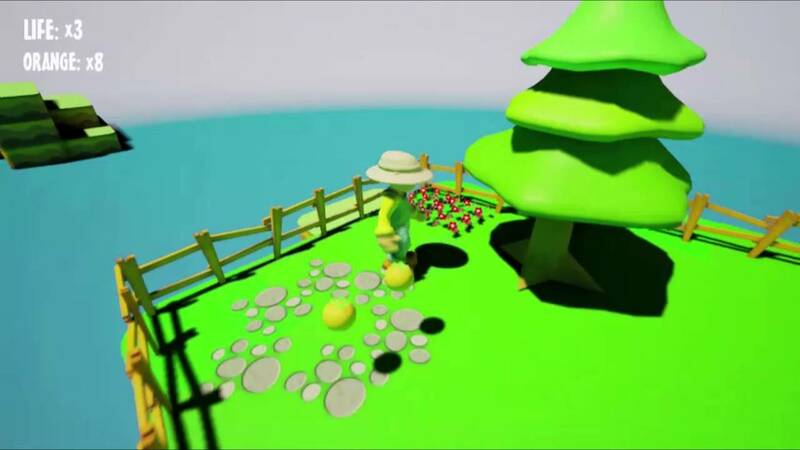 This game is the very first "real" thing produced by two handsome guys called Chris & Daniel, entering as Watching Grass Grow Studios. While Chris has collected a fair share of experience within the area of modelling, coding and using the unreal engine, Daniel just started using blender and UE4. But through the help of Chris and an intense 3 days of hard modelling, he got used to it pretty fast. 99% of things in this game are modelled, cut and textured by hand. Very diligent, now callous hands. Our hands! It was partially fun, partially horror, partially jolly good times and partially the pure stress. We really got a hang of how to approach a project just with participating in the game jamwhen before we did not really have a clue. So thank you, Epic Games, for hosting this competition and we hope to participate in further competitions even stronger! Thank you also for building such a perfect piece of engine enabling a broad variety of individuals to realize their dream of becoming a game-designer. Thank you also for cutting out on that short-term profit you may have gained from selling UE4 via subscription and going for the long-term approach of profiting through user profits. We also want to thank our parents and god. Last edited by Cribbel; 01-17-2016, 09:43 PM. 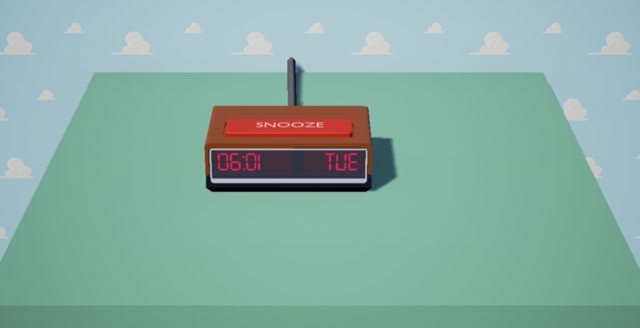 In this game you control an alarm clock. You must prevent the snooze button from being pressed so that you will wake up on time. Flick your mouse to leap around dodging the half asleep arm! If the clock gets past 7:00 you will be late. If you last 5 "minutes" you will be on time. It was updated to the latest version. Last edited by sleepingdragon; 01-17-2016, 10:16 PM. Sorry for the weak entry. I really didn't know what to do this time around. So! It's a Simon Says-sorta game. Read the monitor, click a button. That's really all there is. I wouldn't spend more then a minute or 2 on this one. It's not much but I felt like submitting. So I did.